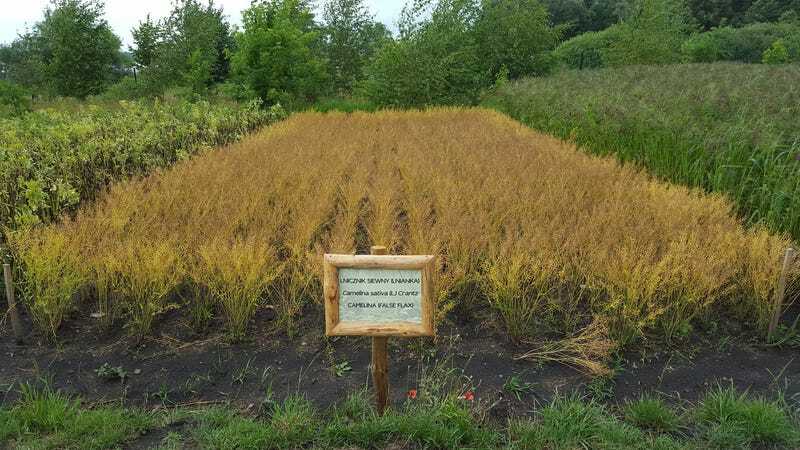 In September, the U.S. Department of Agriculture gave the green light to a version of the plant Camelina sativa, an important oilseed crop that had been genetically engineered using CRISPR to produce enhanced omega-3 oil. What was interesting about this approval was that the USDA did not ask that the inventors of the plant endure the usual regulatory hoops required to sell biotech crops. The next month, a drought-tolerant soybean variety developed with CRISPR also got a quick pass from the USDA. That’s because while those crops were certainly gene-edited, they were not genetically “modified,” according to USDA regulations. While scientists used CRISPR to snip and tweak the plant’s DNA, they did not add any foreign DNA to it. This, the USDA has now repeatedly found, means those CRISPR-edited plants fall outside of regulatory purview. An interview in Nature with the CEO of Yield10 Bioscience, which developed the camelina, gives new insight into how that regulatory technicality is already making it significantly faster and cheaper to bring new biotech plants to market—shaving years and tens of millions of dollars off production. “It eliminates that huge barrier to entry for agbiotech companies,” CEO Oliver Peoples told Nature. Had the company been forced to endure the usual USDA regulator process, he said, it would have taken at least six years and $30 million to $50 million to test and collect the data required to bring the crop to market. In April 2016, the USDA gave the first free pass to a CRISPR crop, clearing white-button mushroom that had been edited to not brown as quickly. In its letter to the scientist who developed the engineered mushroom crop, the USDA wrote that because the new mushroom “does not contain any introduced genetic material” it wasn’t even subject to the agency’s GMO regulations. Since the 1990s, the USDA has regulated which genetically modified crops can head to market, not because of fears of harm to human health but because of fear that crops with foreign DNA could accidentally cause environmental damage. A mushroom that simply had some of its DNA deleted, the agency said, seems to present no such threat. Yield10's strategy took a similar tack. Camelina oil is used as a biofuel and a substitute for fish oil in aquaculture. So scientists wanted to spur the plant to produce more oil. To do so, they used the CRISPR-Cas9 system to create breaks in both strands of the plants DNA. They didn’t insert any new genes, but when the plant’s own repair mechanisms kick in to rejoin the DNA, it automatically inactivates an undisclosed gene the boosts oil production. Since those first mushrooms, at least five CRISPR-edited plants have sidestepped the USDA regulatory process. Last year, the agency explained the approach, writing that it “regulates the products of biotechnology and not specific biotech techniques,” so “products of so-called ‘new genome-editing techniques’ would be regulated … only if they pose plant pest or noxious weed risk.” The approach is a stark contrast to the FDA’s approach to gene-edited animals: Last year, the agency said that it would like to regulate any animal whose genome has been intentionally altered as an “animal drug” regardless of how it was edited or for what purpose. None of the CRISPR plants have made it to market yet. But it seems likely CRISPR produce isn’t so far off from our supermarket shelves.